The PRR Motive Department used steam locomotives as a pattern for developing electric locomotives for its newly electrified railroad. 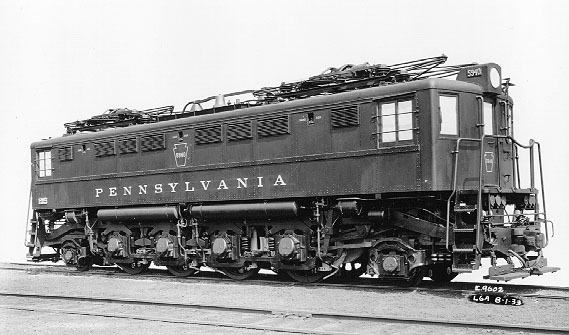 They were trying to duplicate the 4-4-2 "Atlantic" for the O-1s and the 4-6-2 "Pacific" for the P-5a passenger locomotive, but had to have four wheel trucks at both ends because of the bidirectional operation of the electric locomotives. For a freight locomotive they selected the 2-8-2 "Mikado". In 1932, the Altoona shops delivered two Class L-6, 1-D-1 (2-8-2) prototypes and assigned them road numbers 7825 and 7826 (the road numbers were later changed to 5938 and 5939). One of these locomotives was equipped with Westinghouse components and the other with General Electric equipment. In 1933, another L-6 (road number 5940) was built by the Lima Locomotive Works using Westinghouse components. These locomotives had four 625 HP traction motors and roller bearings on all axles. The driving wheels were driven through direct axle gearing giving the locomotive a 2500 HP rating. Numbers 5938 and 5940 had a gear ratio of 20:86 and number 5939 had a gear ratio of 23:93. Top speed was 54 mph, with a continuous speed of 37.5 mph and a continuous tractive effort of 25,000 lbs. After testing the prototypes the PRR ordered 50 of them to be built. An order was given to the Lima Locomotive Works to build the car bodies and the running gear. The Altoona shops were to receive the partially-built locomotives and would add the electrical components to complete them. Lima shipped 30 of the 50 that were ordered before the entire L-6 project was stopped because it was decided that the P-5a would not be the main line passenger locomotive and it was going to be assigned to freight service. The 30 empty shells of the L-6 locomotives that were delivered were stored at the Altoona shops for several years before they were scrapped. The three prototypes were used in freight service for a few years and then were used in local passenger service in the New York area. 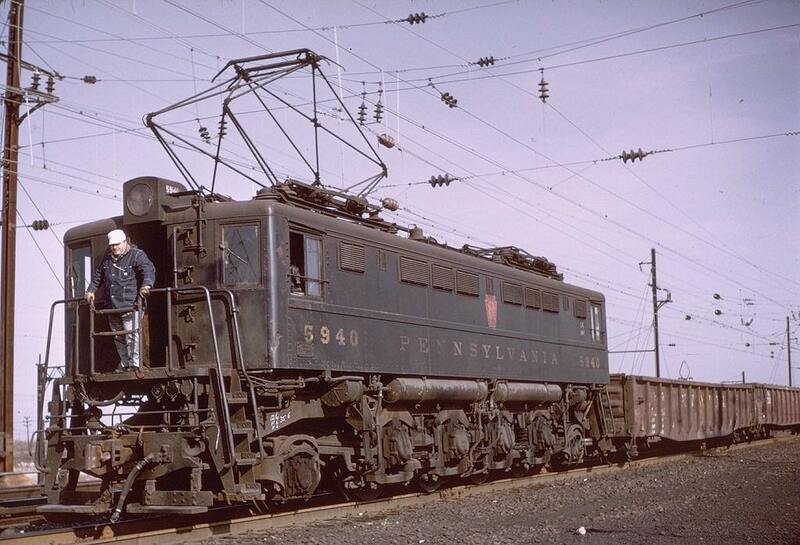 Number 5938 was scrapped in the 1950s and the other two went to the scrapper in the 1960s. Much thanks to Richard Duley who has helped to provide a great deal of the information found on this page.